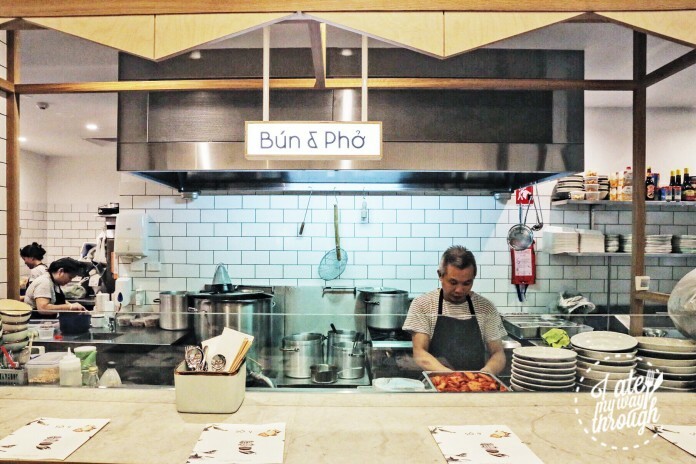 The new Vietnamese restaurant on Danks Street is a fresh take on Vietnamese food in Sydney. The warehouse conversion, stylish fittings by Melbourne design company BrandWorks and airy space gives a modern Australian spin on a Vietnamese restaurant. 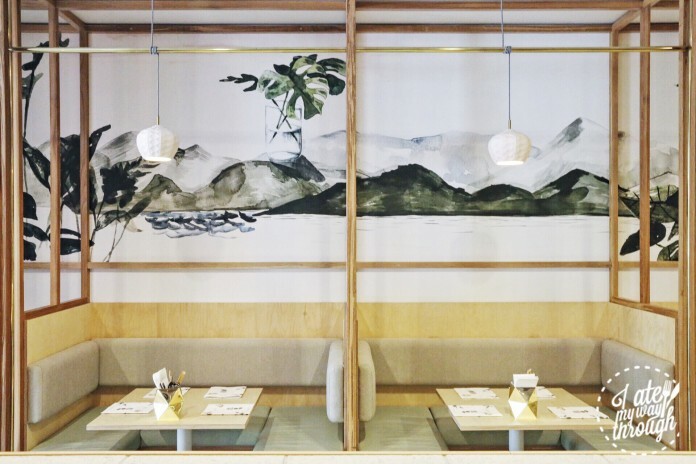 The scenic watercolour mural is by artist Beth Emily who typically illustrates Australian fauna, but in this collaboration with So 9 she masterly captures a sense of Vietnam through watercolours. From the specially designed menus, the neon signage to the ceramic tableware – everything has been designed and curated to perfection. The u-shaped interior space is set up with an open kitchen and three stations for serving up the restaurant’s core dishes. 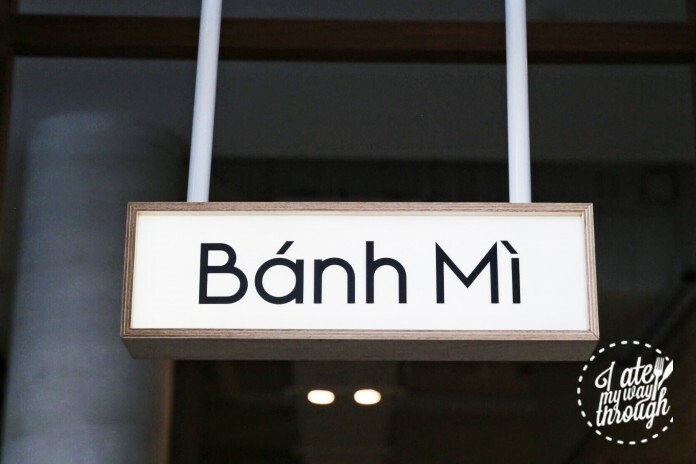 There is also a street front takeaway ‘banh mi station’ with a window interface to order the popular Vietnamese sandwiches on the run. 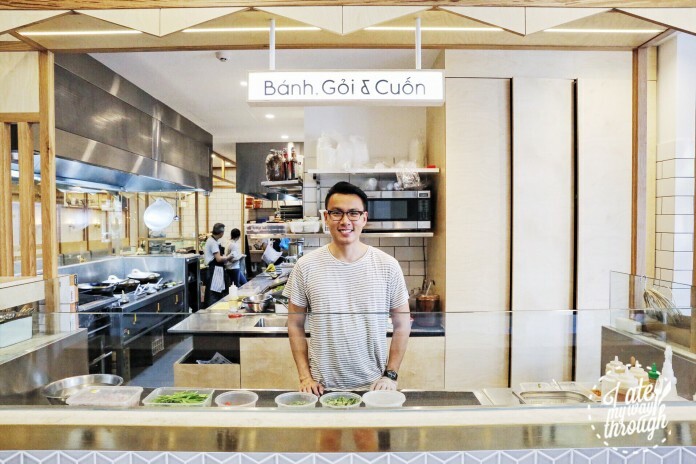 Sydney-siders are no strangers to Vietnamese cuisine. We’ve acquired a taste for Southeast Asian flavours from the likes of Miss Chu, Marrickville Pork Roll, Red Lantern, Phamish and Ms Gs. Most of us have learnt the correct pronunciation for pho and many inner-city foodies have ventured to Cabramatta in search of hidden gems. 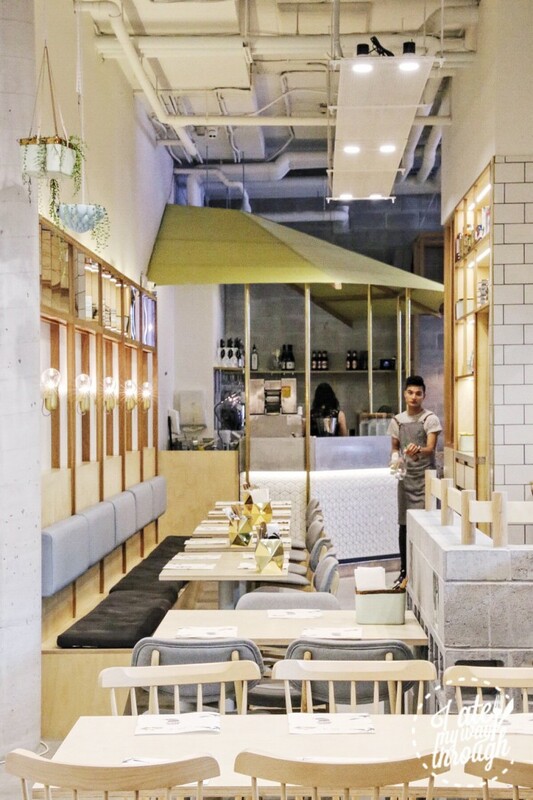 Don’t let the trendy, contemporary interiors fool you – all the food here is made fresh on-site and the menu offers a variety of traditional Vietnamese street food. 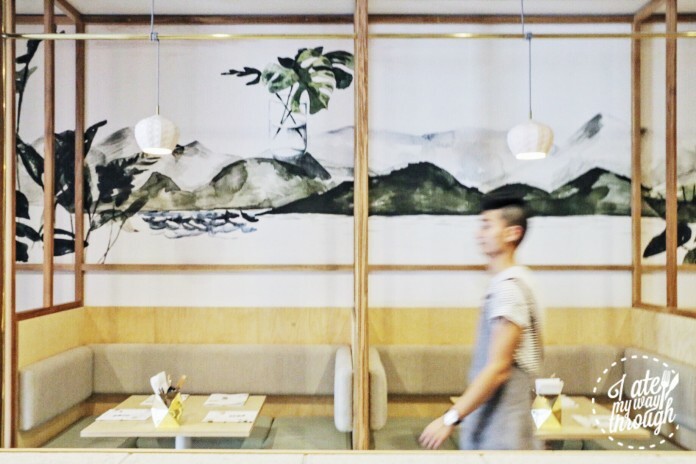 Some dishes you’d be hard pressed to find anywhere else in Sydney. 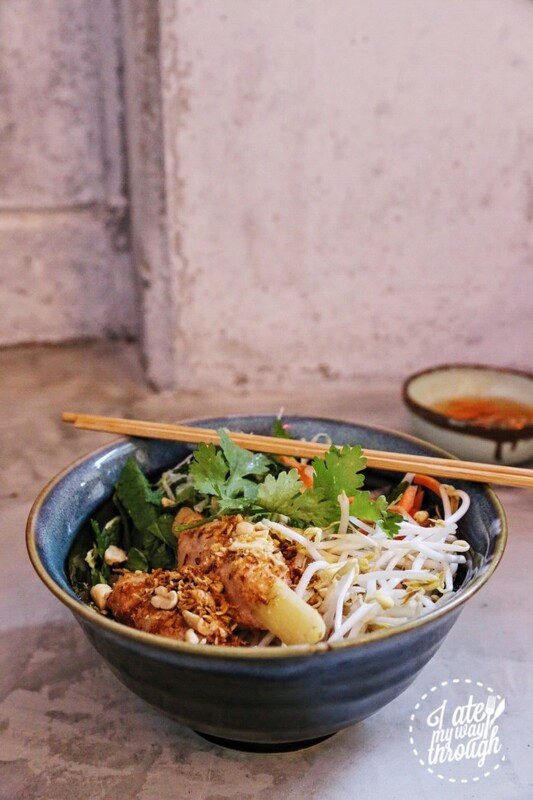 The menu at So 9 typifies exactly what makes simple Vietnamese food so special – there is a lightness, freshness and aromatic complexity to each dish. 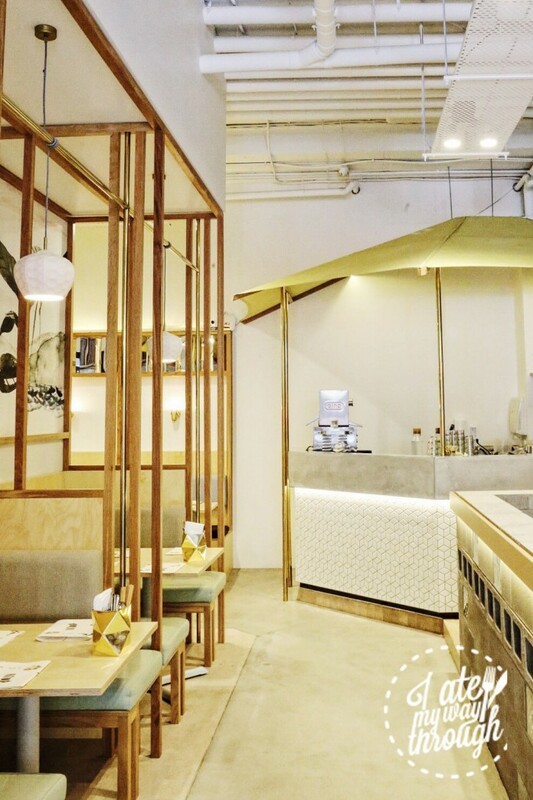 Forget ordering a flat white, here it’s about Vietnamese coffee. Sweet, milky and ice-cold – it’s the perfect pick-me-up refreshment on a hot day. 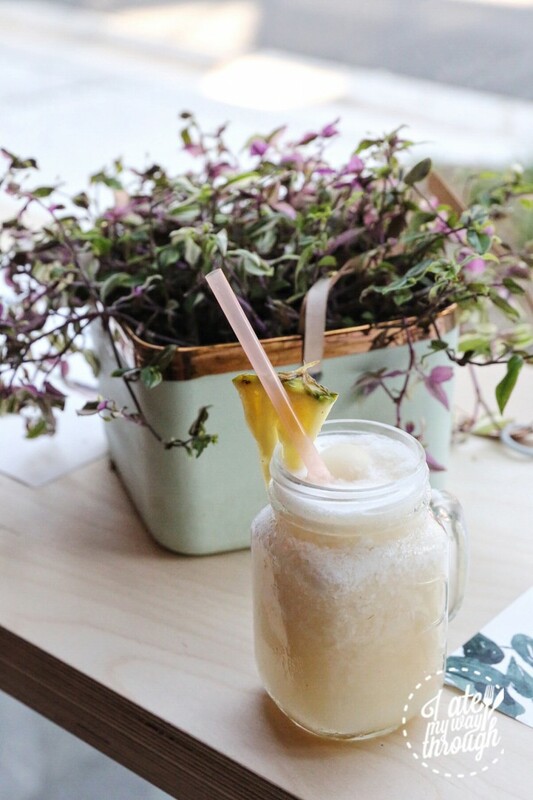 There are a variety of appealing drinks to choose from; fresh coconut water, sugar cane juice and then there’s the coconut, lychee and pineapple slushie. One sip of this sweet, creamy concoction and you’ll be momentarily transported on a tropical vacation. 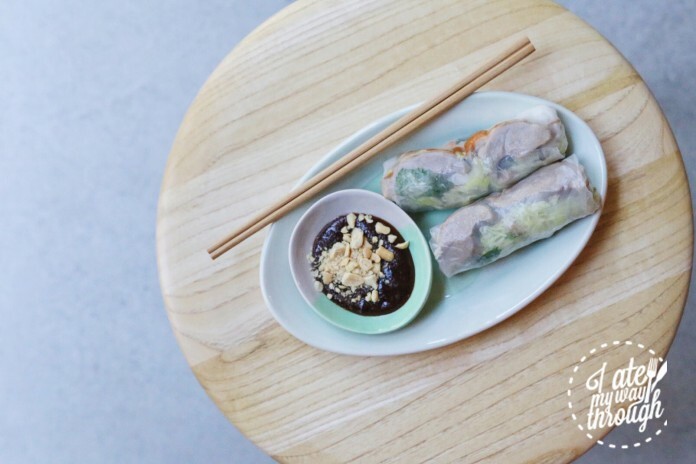 For entrée we opt for the rice paper roll special vit quay cuon ($8). The rice paper is softer and stickier than those you’ll find at Miss Chu. 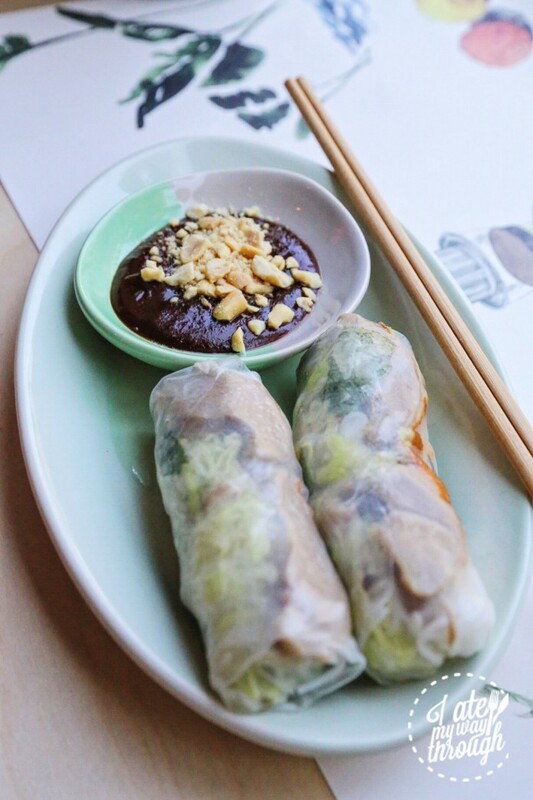 The filling is delicious; tender roast duck, pickled carrot, vermicelli noodles and a moreish hoisin dipping sauce with crushed peanuts for extra crunch. Another dish ideal for sharing is the ban xeo with prawn and pork ($15). 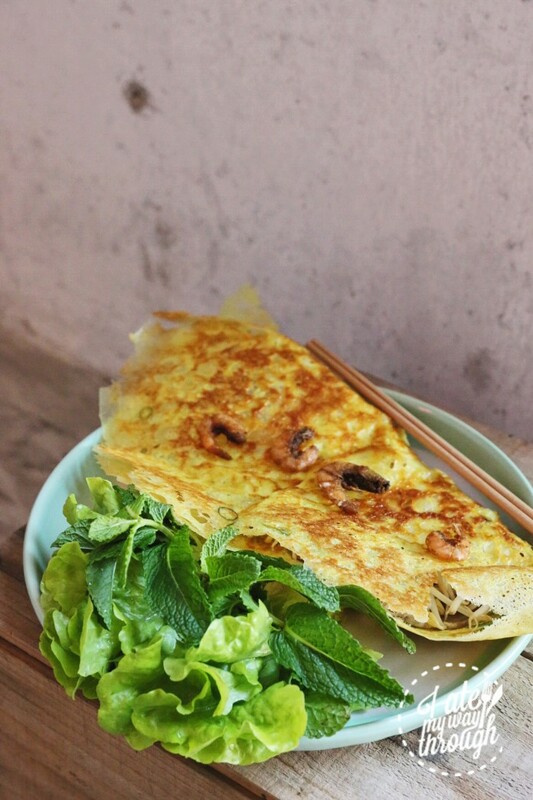 Ban xeo is a Vietnamese style savoury crepe (translates to ‘sizzling pancake’) made with rice flour and it gets a golden yellow colour from turmeric. So 9 had titanium pans specially made and imported from Vietnam to make the authentic ban xeo. The pancake is giant, crispy thin and slightly oily, filled with prawn and pork meat, diced spring onion and bean sprouts. It’s served with a side of pickled carrot, mint and crisp lettuce leaves that are used to encase the pancake and fillings that you haphazardly tear with your hands. Then, dip the assembled morsel in a chilli dipping sauce that is sweet, sour and spicy all at once. The deliciously oily pancake contrasts perfectly with the fresh ingredients to make a crispy and well-balanced dish that’s simply a pleasure to get stuck into. Pho might be the most well known Vietnamese soup, but we decide to be a little more adventurous with our ordering and select the bun suong ($16). 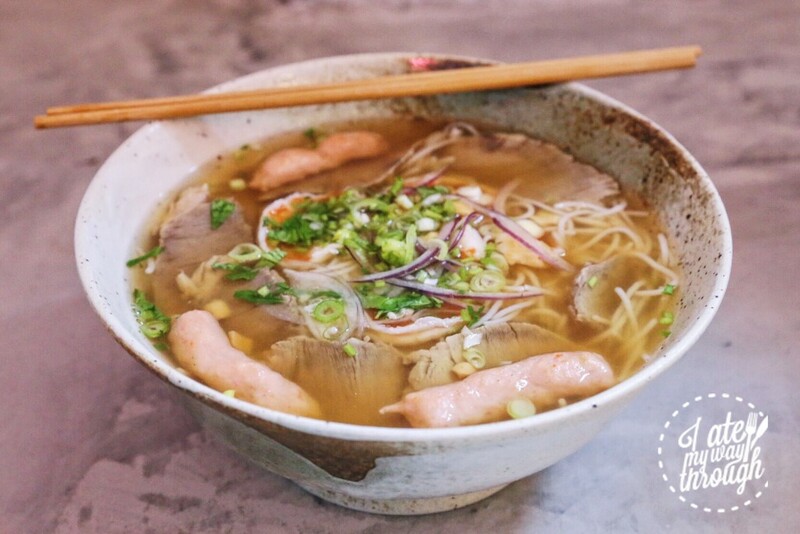 It’s a traditional Vietnamese noodle soup with pork and shrimp sausage. So 9 is one of the few places you can order it in Sydney. The unusual tamarind flavoured broth with a natural sweetness is gorgeously subtle and there’s a smack of additional freshness from the mint. 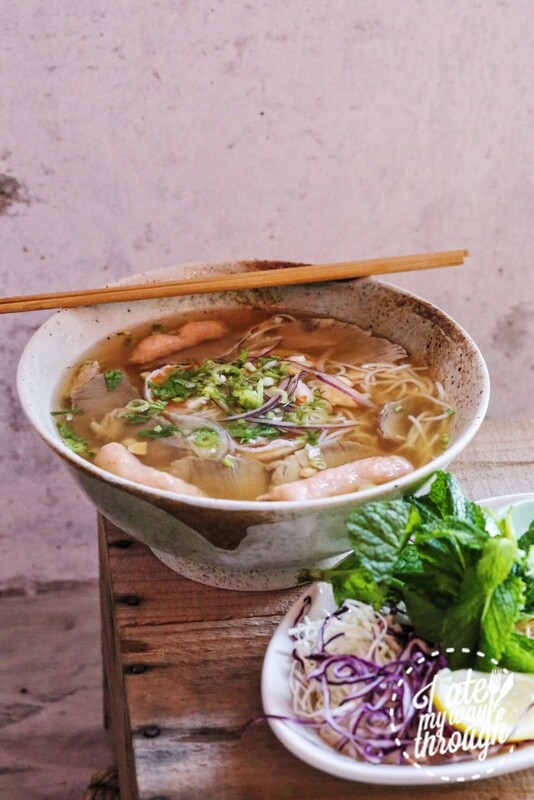 Swimming in this giant soupy bowl are silky thin noodles, finely chopped onion, plump prawns, slithers of pork and tasty pieces of handmade sausage. Add your own cabbage, sprouts and a squeeze of lemon to taste. 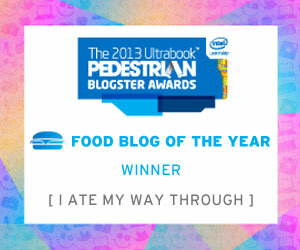 We were happily slurping away in no time. The bun chao tom ($15), vermicelli with sugar cane prawns, is another favourite. This noodle number is light, yet deeply satisfying. The prawn meat is sweet and juicy moulded on to sugar cane sticks. Fried shallots, pickled carrots, crunchy daikon, peanuts, mint and coriander sit on a cloud of soft vermicelli noodles. Generously pour over the special chilli sauce and arm yourself with chopsticks to dig in. If you like things with an extra kick be sure to request a bowl of chopped chilli. 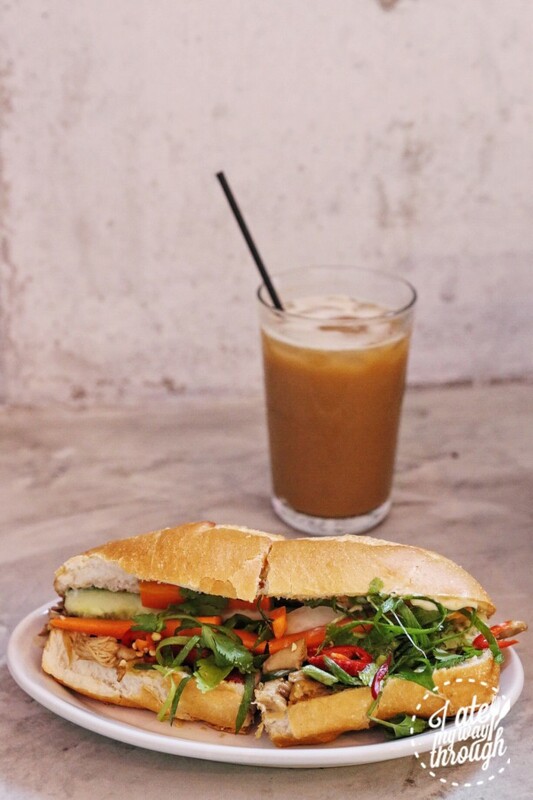 We were keen to sample the banh mi ga ($8) off the takeaway menu. 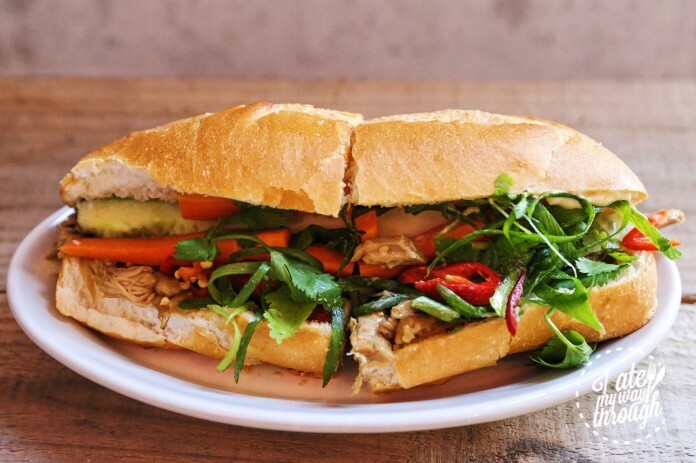 The warm, crusty baguette is filled with pulled chicken covered in rich Vietnamese gravy that has a fragrant hint of lemongrass. Inside this vibrant sandwich you’ll find chunks of crunchy pickled vegetables, heaps of aromatic coriander, fresh chilli pieces and a drizzle of creamy mayonnaise. It is just packed full of flavour. Office workers near Dank Street will be delighted with this new, speedily assembled lunchtime option in the neighbourhood.